Reflections of a Bookaholic: 2014 Reading Challenges. Sign me Up! 2014 Reading Challenges. Sign me Up! I've chosen my challenges for the 2014!! I'm really excited for these. I'm trying to be a bit more conservative though because I've learned that enthusiasm can wane after...oh.. 20 books or so of the same challenge. 1. Goodreads 2014. Goal: 85 Books. I always participate in the Goodread's challenge because it is an easy way for me to keep track of all the books I read. I've set my goal at 85 books for the second year in a row. I'm staying at the current level because I find myself shying way from chunkier reads (I'm so goal-oriented. Le Sigh.) So in an effort to reduce the pressure and allow myself to read some of the books on my TBR, I'm going to keep the status quo. The rules are simply to read a full length book that includes a witch/warlock as a main character or has one that includes witchcraft elements. There are prizes I wanted to sign up for this challenge last year but it simply didn't make the cut because I didn't have books in mind. I still don't have books in mind. All recommendations for good reads that would fit this challenge are much appreciated! 3. 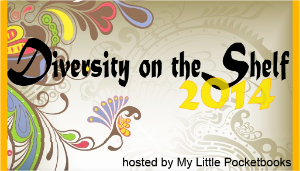 Diversity on the Shelf hosted by My Little Pocketbooks. The goal of this challenge is add diversity to your bookshelf which I definitely need to do. Any books with a person of color as the main character or as the author will count. There are prizes! Level: Only one - Complete all 14 categories. 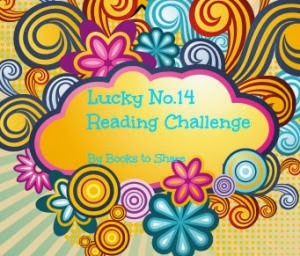 This challenge is a cute one that requires the completion of a book from each of the 14 categories. I love the sound of this one because any genre can fall into each of these categories and it just seems cute. I hope someone joins me with this one. Oh and there are prizes! 5. 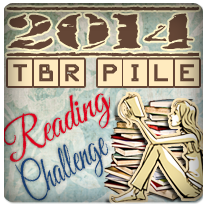 TBR Pile Reading Challenge hosted by Bookish. This should be a familiar one as I've participated for the past couple of years. This one simply requires the reading of books that have been sitting on our own bookshelves for sometime. 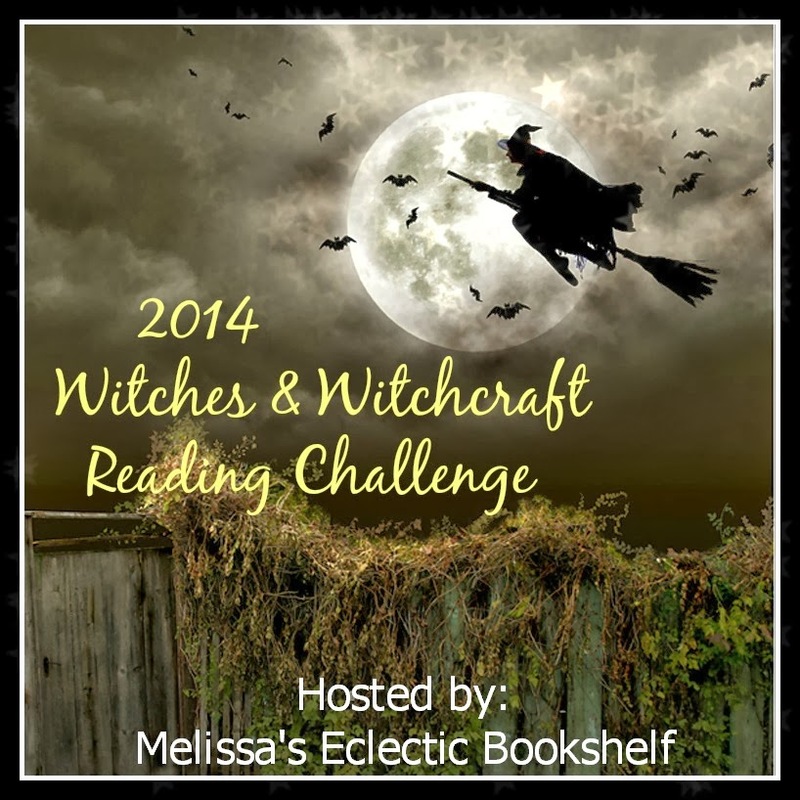 I participate in this challenge each year because I wouldn't read books from my bookshelf otherwise. I only read 10 books from my own bookshelf in all of 2013 (to fulfill this challenge). I'm not sure how this happens but in the spirit of being a good girl, I'm signing up once again. Plus, this one is always my enjoyable reads even though I have to push myself to complete it. I like that Lucky number 14 one. I'm gonna go check that one out. And yeah I need to go set my goodreads goal. I don't think I have done that yet. I have a contest going, be sure to check it out. I'll do that. I hope you join. So far I've only found 2 challenges I want to take part in..possibly three. I want 2014 to be my year of enjoying what I read. I completely agree. I try to choose challenges that will help me with that. They give me permission of sorts to read certain reads despite a busy schedule. That's the intent anyway. Doesn't always work out that way. First let me say Welcome and I am sooo glad you are joining us with the Diversity on the Shelf challenge. YEAH!!!!! I love the sound of the Lucky 14 too but I can't think of any books I have on my TBR llst (only list I am going to read from this year) that would fit a few of those. Thanks for joining!!!! You are so brave! I can't limit myself that way. I read a book that has a sequel and then I'm done. Hi Lady, I'm so glad to be back reading. I too have done my challenges and hope I have not over done it. I wish I would have stopped at 4 or 5 or even six. looking forward to reading your 2014 reviews. Thanks! I'm going to come check out your challenges too. You can do it! I understand your hesitance though. I learn something new about how to choose them each year I give it a go. 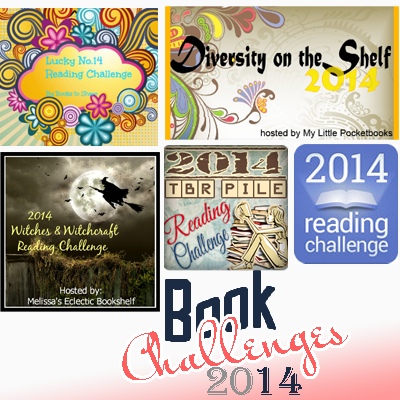 I'm with you on the TBR Pile challenge (haven't yet posted it to my blog) and the Diversity challenge. I always end up signing up for more than I can keep up with, but I'm trying to cut back this year! Good luck in all of them! I understand. Last year I didn't commit to too many challenges but chose too high of a level for each one. Whew! I learned my lesson on that one.